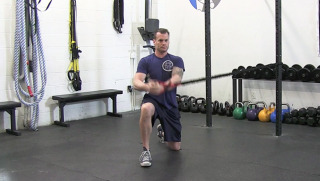 Start in a kneeling position while holding a resistance band in both hands. 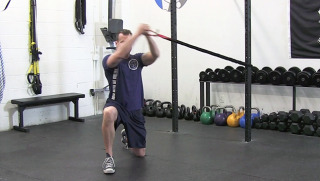 Draw circles with your arms pulling the band up and away from the anchor point. Keep your body rigid and core engaged through the entire range of motion.